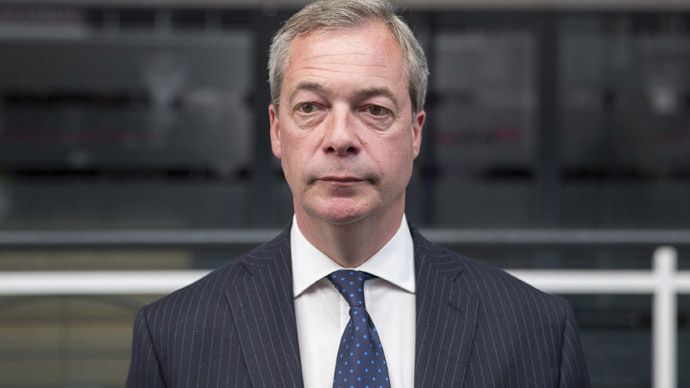 UK Independence Party (UKIP) leader Nigel Farage has dropped strong hints he will not run for election again if he fails to win the South Thanet seat in Thursday’s general election. Speaking to The Telegraph while out canvassing in Ramsgate on Wednesday, the UKIP leader suggested he would not be able to “do a Salmond” and leave the party, only to come back as leader once again. He said his “neck was on the line” and hinted that Thursday’s result could see the end of his political career. Farage has already acknowledged he would step down as party leader if he is not elected. “My neck is on the line, so I had better get canvassing,” he said. Farage said he did not regret making the pledges public, saying he would “go fishing and get more time to go down the pub” if defeated. The UKIP chief also urged Telegraph readers to vote for his party. “All the others will tell you, ‘Please vote for me, we are not quite as ghastly as the others.’ What I would say to you is that we are the one patriotic British party, we believe in Britain, we believe in the British people, we care about immigration, defense and all the things that you care about too,” he said. UKIP has suffered a tumultuous election campaign with numerous candidates forced to resign or step down over alleged racism and insensitive comments. The latest candidate to be suspended is Robert Blay, 55, standing in North East Hampshire, who was caught on camera by an undercover reporter saying he would shoot his Conservative rival. He was suspended as a party member Wednesday. But Farage has high hopes for his party, which he says could secure third place in the overall popular vote. He has also said he hopes to gain a strong number of MPs and hopes to be able to present a challenge in the 2020 general election. He described the current election as incredibly unpredictable. “I have given it my all; I have tried as hard as I possibly could. If we don’t succeed at least I can tell myself I tried my absolute best,” he said.